Pica font family series mainly provide Thin Italic,Thin,Regular Italic,Regular,Medium Italic,Medium,Light Italic,Light,Bold Italic,Bold and other font styles. Pica Becker font family series mainly provide Normal and other font styles. 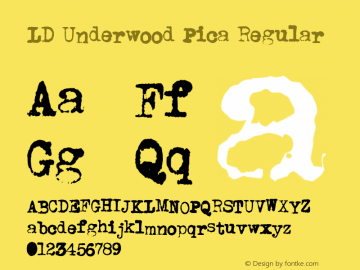 LD Underwood Pica font family series mainly provide Regular and other font styles. 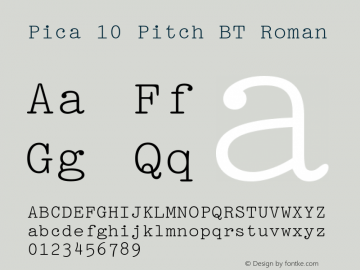 Pica 10 Pitch font family series mainly provide Roman,Regular and other font styles. Hu_Pica 10 BT Roman font family series mainly provide Regular and other font styles. 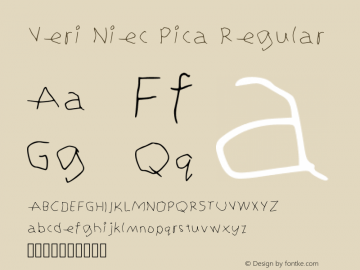 Pica font family series mainly provide Regular,Italic,BoldItalic,Bold and other font styles. 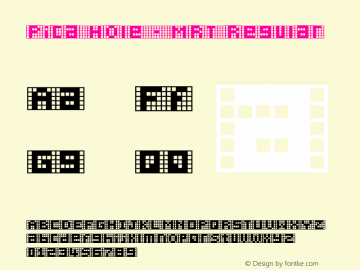 Pica Hole - MRT font family series mainly provide MRT,Regular and other font styles. 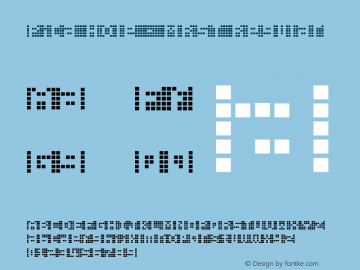 Pica Hole - MRST font family series mainly provide MRST,Regular and other font styles.